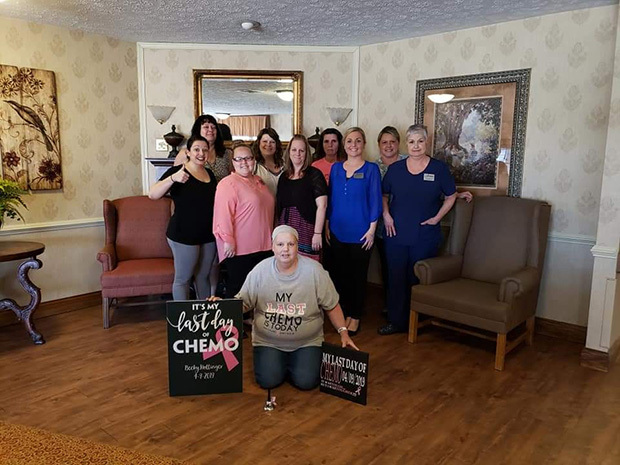 Becky, one of our most beloved employees and friend had her last chemo treatment today! Way to go, Becky! We are with you! We are so thankful for the incredible team at Arlington Care and how they have created "A Culture of Care" for our residents and families. As part of the Foundations Health Solutions family, we prioritize our residents, families, and their care.